Introducing the 2018 Acura RLX, with a striking new design that represents the performance of the vehicle within. All-new LED Taillights, exposed dual exhaust and a gloss black rear diffuser make a sport statement. It's the second Acura sedan to adopt our signature Diamond Pentagon Grille. An all-new rear fascia includes a diffuser flanked by integrated Chrome exhaust outlets. An open, elegant space for the driver and front passenger is possible in part to a minimally intrusive layout, combined with premium materials to create alluring craftsmanship. RLX is the most sophisticated and best-performing Acura sedan ever. The available 377hp Sport Hybrid shares supercar technology with the NSX for an immediate, powerful driving experience unmatched in the segment while the 3.5L i-VTEC engine boasts 310hp. The Head-Up Display projects a transparent, easy-to-see image onto the lower portion of the windshield allowing you to view key vehicle information while keeping your eyes on the road. There are a wide variety of available displays that can be accessed. The AcuraWatch suite of class-leading safety and driver assistive technologies is applied to every 2018 RLX. Features include Collision Mitigation Braking, Road Departure Mitigation, Adaptive Cruise Control, Lane Keeping Assist and the all-new Traffic Jam Assist. Heighten the driving experience with the 2019 Acura RLX. The signature diamond pentagon grille’s bold shape with intricate detail, which results in a clean appearance that signals an uptick in attitude. The rear fascia includes a diffuser flanked by integrated dual chrome exhaust outlets. Additional chrome accents accompany LED taillights designed with stylish “pipe” lighting for a distinctive signature. All models also sport 19-inch alloy wheels. Inside, a soft, double-hinged armrest enables easy storage, complete with a sliding smartphone tray with direct access to USB charging ports. The 3.5-liter engine delivers 377hp with a 3-motor sport hybrid super handing all-wheel drive system. Paired with the smooth 7-speed dual-clutch transmission, the RLX can deliver whenever you have the need for speed. This midsize sedan is packed with technology, including a premium audio system, head-up display, GPS-linked climate control, on-demand multi-use display and electronic gear selector. You’ll find a comprehensive suite of safety features such as collision mitigation braking system, road departure mitigation, adaptive cruise control, lane keeping assist, traffic jam assist, blind spot information system, surround-view camera, parking sensors and vehicle stability assist. The 2019 Acura RLX is ready to capture everyone’s attention. Nav System, Heated Leather Seats, Moonroof, Aluminum Wheels, Premium Sound System. Brilliant Red Metallic exterior and Ebony interior, w/Technology Pkg trim. EPA 29 MPG Hwy/20 MPG City! AND MORE!======: Acura w/Technology Pkg with Brilliant Red Metallic exterior and Ebony interior features a V6 Cylinder Engine with 310 HP at 6500 RPM*. ======EXCELLENT SAFETY FOR YOUR FAMILY: Child Safety Locks, Electronic Stability Control, Brake Assist, 4-Wheel ABS, Tire Pressure Monitoring System, 4-Wheel Disc Brakes, Driver Air Bag, Passenger Air Bag Safety equipment includes Child Safety Locks ======KEY FEATURES INCLUDE: Leather Seats, Navigation, Sunroof, Heated Driver Seat, Premium Sound System. ======EXPERTS REPORT: The RLX combines luxury and performance in a way that makes it an excellent everyday commuter. The powertrains are smooth and tranquil; the transmissions deliver seamless shifts; and sufficient thrust is there at the ready. -Edmunds.com. Great Gas Mileage: 29 MPG Hwy. ======MORE ABOUT US: Bloomington Acura Subaru offers competitive pricing on our New and Pre-owned vehicles. Our service and parts departments are open early, late and even on Saturdays. We also carry 40 service loaners for your convenience. Check whether a vehicle is subject to open recalls for safety issues at safercar.gov Check whether a vehicle is subject to open recalls for safety issues at safercar.gov. Navigation, Moonroof, Heated Leather Seats, Hybrid, AWD, Aluminum Wheels. Platinum White Pearl exterior and Ebony interior, Sport Hybrid w/Advance Pkg trim. EPA 29 MPG Hwy/28 MPG City! CLICK ME!======: Acura Sport Hybrid w/Advance Pkg with Platinum White Pearl exterior and Ebony interior features a V6 Cylinder Engine with 377 HP at 6500 RPM*. ======EXCELLENT SAFETY FOR YOUR FAMILY: Child Safety Locks, Electronic Stability Control, Brake Assist, 4-Wheel ABS, 4-Wheel Disc Brakes, Tire Pressure Monitoring System, Driver Air Bag, Passenger Air Bag Safety equipment includes Child Safety Locks ======KEY FEATURES INCLUDE: Leather Seats, Navigation, Sunroof, Heated Driver Seat, Hybrid ======EXPERTS CONCLUDE: Great Gas Mileage: 29 MPG Hwy. ======BUY FROM AN AWARD WINNING DEALER: Bloomington Acura Subaru offers competitive pricing on our New and Pre-owned vehicles. Our service and parts departments are open early, late and even on Saturdays. We also carry 40 service loaners for your convenience. Check whether a vehicle is subject to open recalls for safety issues at safercar.gov Check whether a vehicle is subject to open recalls for safety issues at safercar.gov. ======: NAV, Sunroof, Heated Leather Seats, Alloy Wheels, AWD, Hybrid. Platinum White Pearl exterior and Seacoast interior, Sport Hybrid w/Advance Pkg trim. FUEL EFFICIENT 29 MPG Hwy/28 MPG City! CLICK NOW! ======DISCOVER THE LUTHER ADVANTAGE: The Luther Advantage is a complete and comprehensive package of benefits designed to make buying-and driving-a vehicle from the Luther dealerships a pleasant and convenient experience. From the peace of mind that comes with a 5 Day-500 Mile Return or Exchange Policy, 30 Day 1,000 miles Full Warranty and 60 Day 2,500 miles Limited Powertrain Warranty and Free CARFAX Reports & Clean Title Guarantee on pre-owned vehicles, as well as providing Luther customers with full range of valuable discounts at participating Holiday Stationstores including 10 cents off a gallon, $6 for The Works car wash among other advantages and guarantees. As much as we like satisfying customers, we like keeping them even more. ======WHY BUY FROM US? 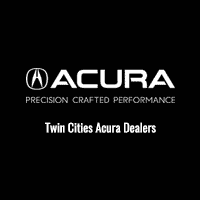 : Bloomington Acura Subaru offers competitive pricing on our New and Pre-owned vehicles. Our service and parts departments are open early, late and even on Saturdays. We also carry 40 service loaners for your convenience. Check whether a vehicle is subject to open recalls for safety issues at safercar.gov.